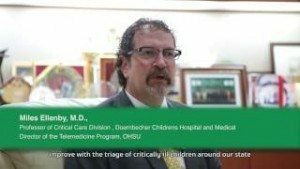 Samitivej Children’s Hospital began a collaboration with Doernbecher Children’s Hospital of the Oregon Health and Science University (OHSU) in the US in a quest to enhance our excellence in pediatric care. 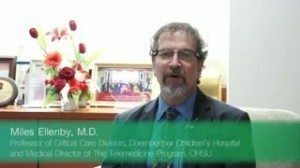 Doernbecher Children’s Hospital is listed in US News & World Report’s 2015-2016 Best Children’s Hospitals. 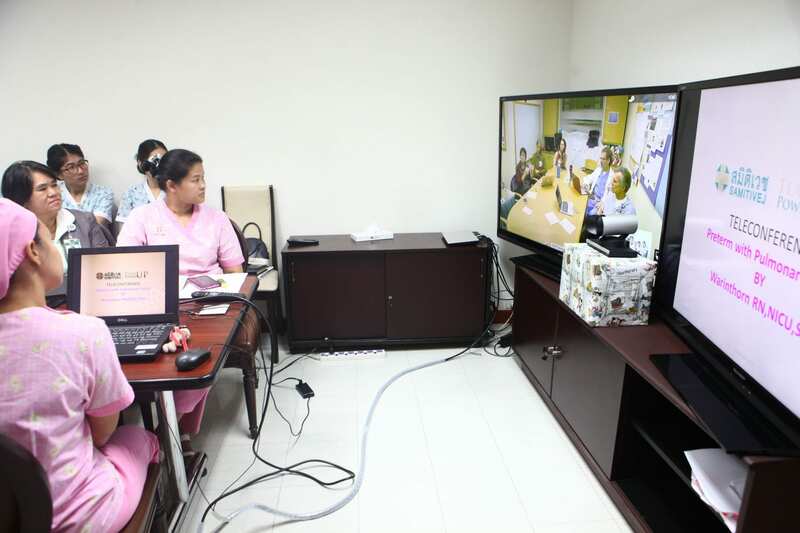 Achieving international service standards for Samitivej Children’s Hospital and promoting a global health exchange platform, was a primary goal of this initiative. 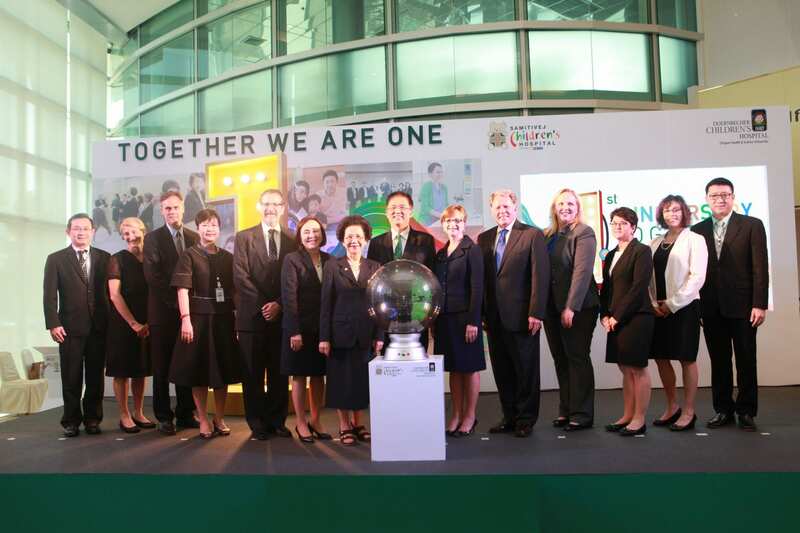 Today, this exchange has brought great advances in pediatric knowledge and best-practice excellence to Thailand and the Asia Pacific region. Patient-centric care is at the heart of a multi-disciplinary approach developed by Samitivej as part of the collaboration. 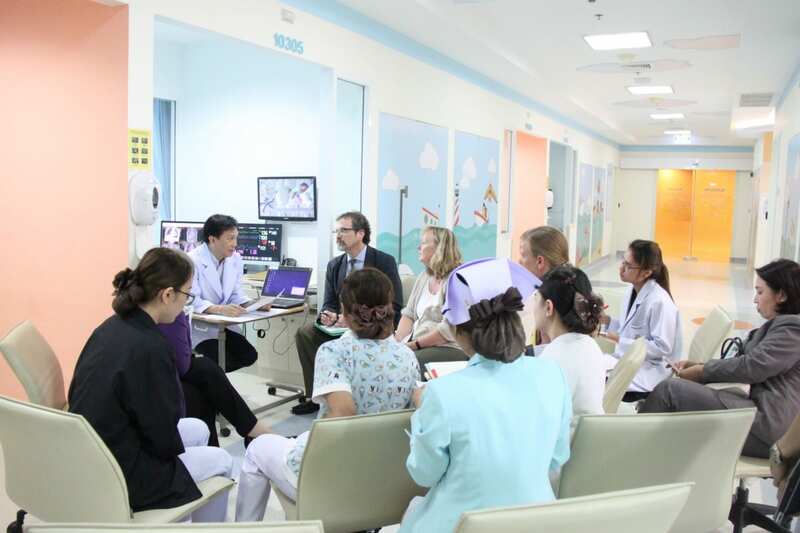 The integration of knowledge from patient wards, the neonatal intensive care unit (NICU) and the pediatric intensive care unit (PICU) is helping Samitivej Children’s Hospital to improve patient care and safety within its ICUs. Assessment of a child’s clinical status while hospitalized is being improved with the development of an early-warning-signs system; allowing for more timely delivery of effective clinical intervention. 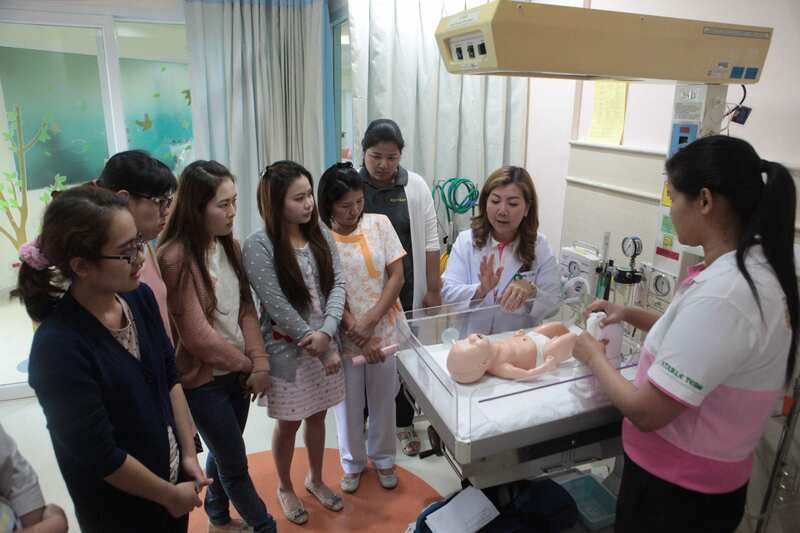 Neonatal stabilization practices have been introduced to Samitivej staff; NICU, PICU, ER and patient wards staffs were trained by OHSU in the S.T.A.B.L.E. program at Samitivej. The program delivers huge benefits to critically-ill newborns, particularly in post-resuscitation/pre-transport stabilization care. Samitivej also sent one doctor and one nurse to take the S.T.A.B.L.E. program instructor course at the University of Utah – School of Medicine. Both are now certified to train other professional staff at Samitivej Children’s Hospitals, showing our commitment to continuous improvement in our professional practice. Neonatal therapeutic hypothermia (cooling), the innovative treatment for newborns with disease, damage, or malfunction of the brain can reduce the risk of severe brain damage and cerebral palsy which can occur, due to a lack of oxygen. Many babies born after 35 weeks of pregnancy are treated successfully and neonatal therapeutic hypothermia (cooling) is a well-accepted treatment. 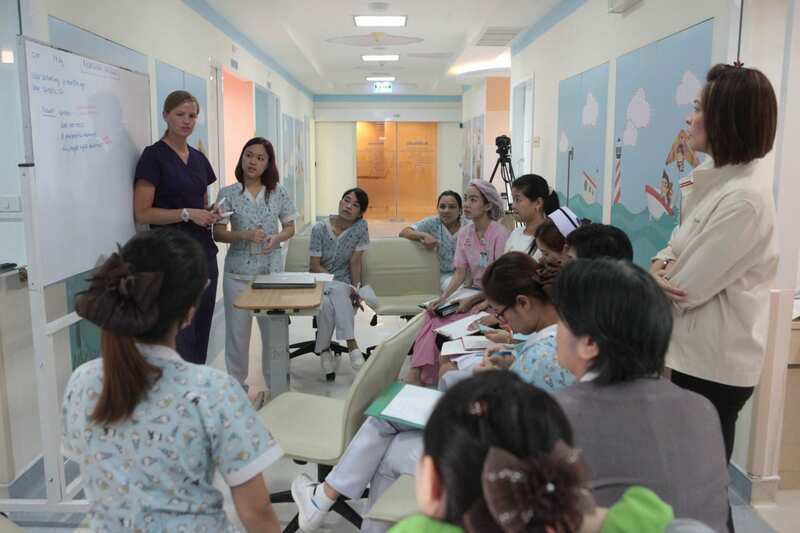 OHSU has now introduced this treatment to Samitivej by training the hospital’s neonatal nurses and doctors. Continuing patient focus and an emphasis on wellbeing has led to the creation of The Child Life Program. 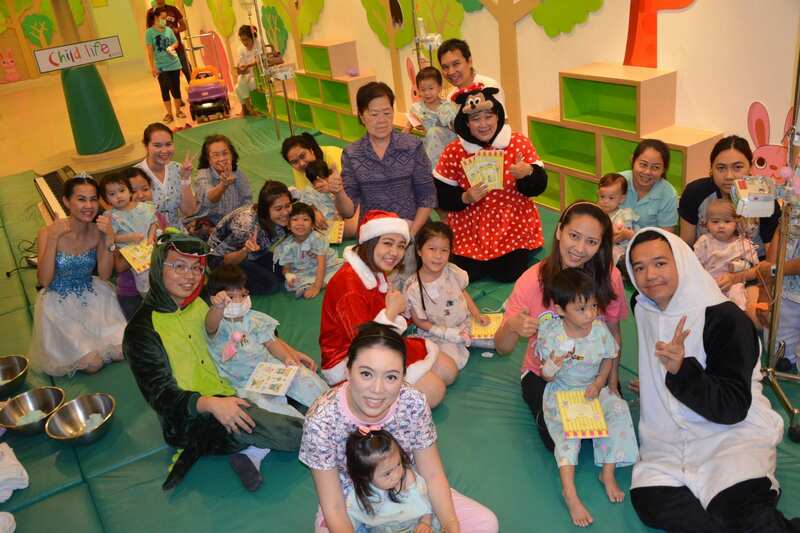 This unique initiative focuses on companionship, emotional wellbeing and comfort of children battling illnesses while in the hospital. Specially structured programs are designed to help nurses create care plans for pediatric patients and anticipate their needs more easily, with tools developed to evaluate standards of care and nurse competencies, as well. 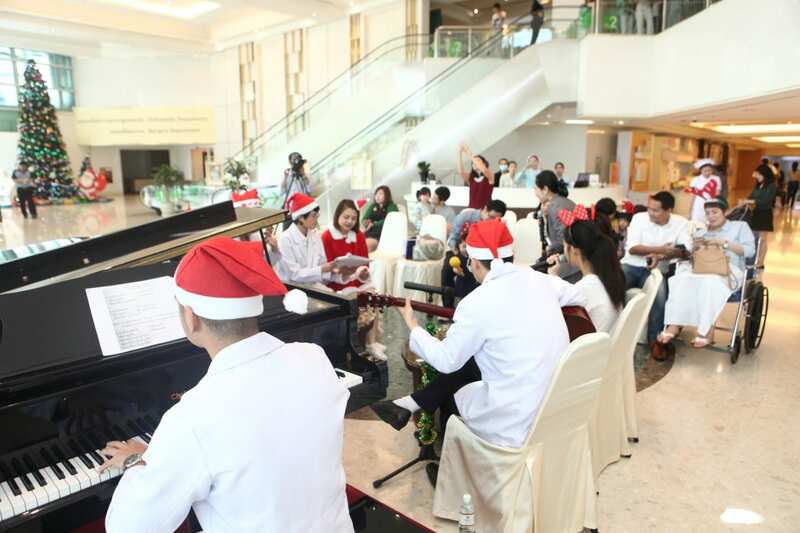 In 2008, our newborn and Pediatric Surgery Center opened and since then has treated many heart, pulmonary, brain and neurology, urology, and other conditions, for our patients. Our surgeons have performed minimally invasive surgical procedures for many newborn and children in need. 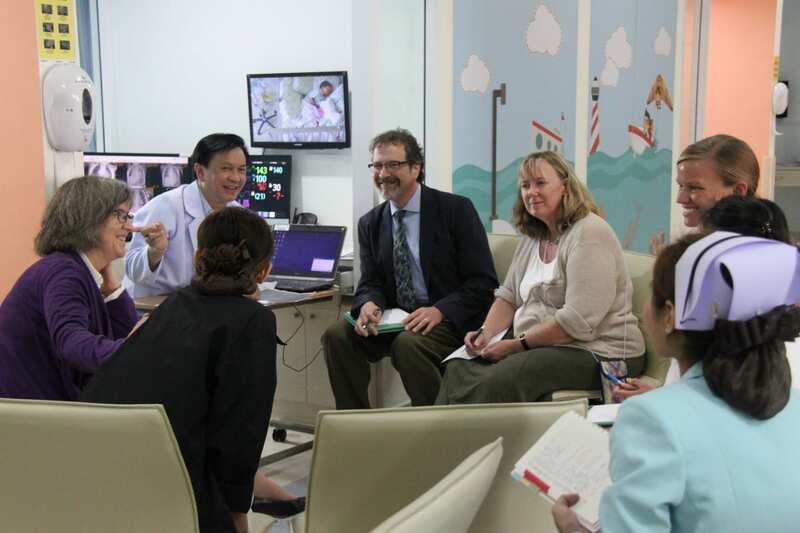 The representative surgeons learned many new MIS surgical practices that are performed at Doernbecher Hospital in USA. 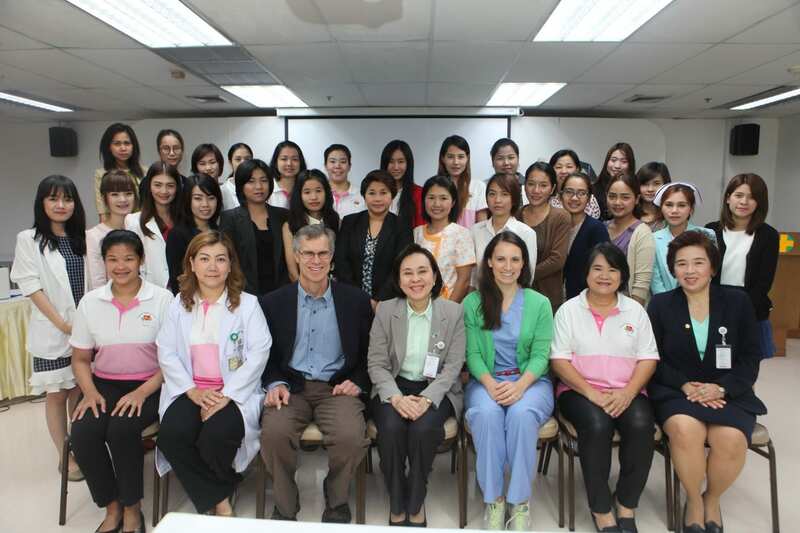 The surgical team includes nurses and other healthcare professionals, all of whom enjoyed interprofessional discussions and exchanging of experiences. The goal is to improve post-surgical outcome, reduce pain and discomfort and minimize recovery time. Dr. Robot is a huge step in the field of telemedicine, especially considering the upcoming advances in pediatric medical ground and air transportation services. Dr. Robot is a portable device that integrates the medical equipment so that we can bring the expertise to the patients in a timely fashion. Doctors on both ends can have a better visual assessment, improve the triage of these critically-ill children and improve resuscitation especially during transportation. Doernbecher brought a team specializing in medical transportation to demonstrate Dr. Robot with both the Doernbecher and Samitivej teams exchanging their case knowledge and experiences. The collaboration has led to further improvement in the quality of life for patients with chronic conditions. Doernbecher inspired us to develop an additional special unit for patients who are not in need of critical care, but are not yet ready to be moved to the regular ward. 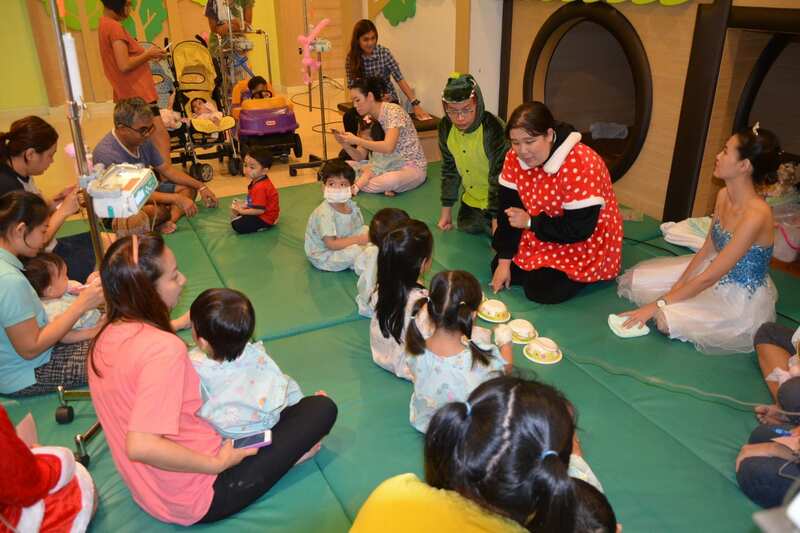 The Pediatric Progressive Care Unit (PPCU) will provide both individual and group rehabilitation sessions for patients, and will allow parents to stay with their child. With this arrangement, patients can receive emotional support from their families while still getting attentive care from the medical team. The new PPCU will open in 2017. Interview with Miles Ellenby, M.D. Interview with Laura Bax, R.N. Interview with Piriyaporn Suwantamee, R.N. Interview with Monawatr Luamnarin, R.N. Interview with Surangkana Techapaitoon, M.D. 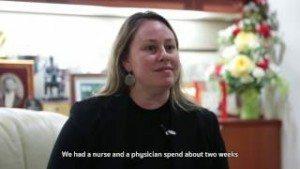 The Collaboration: One Year Later - Miles Ellenby, M.D. 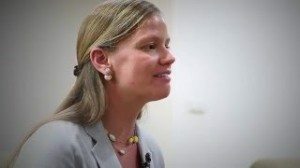 The Collaboration: One Year Later - Shelbe Sundeen, R.N. The Collaboration: One Year Later - Kathryn A. DeLander, R.N. The Collaboration: One Year Later - Robert Schelonka, M.D.